Why is Vitamins Day so valuable? 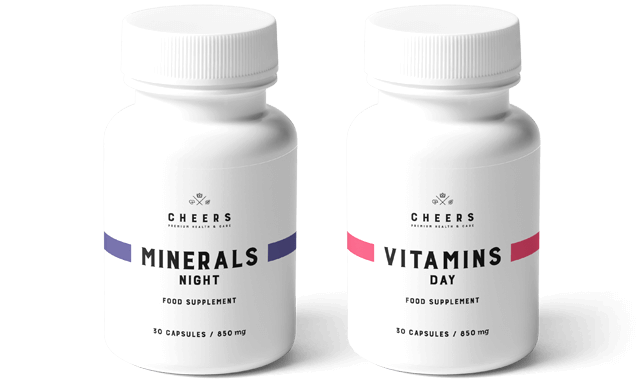 Cheers Vitamins Day is the most complete, unique set of 12 vitamins, allowing you to enjoy energy and vitality throughout the day. This optimally selected complex covers 100% of recommended daily allowance. 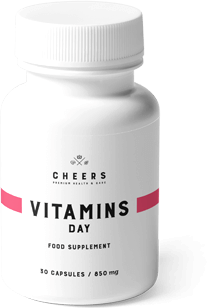 Cheers Vitamins Day is a perfect supplement for both women and men. Vitamin C strengthens the immune system, and vitamin B1 supports nutrient metabolism. Folic acid and niacin help to reduce the feeling of fatigue. Choline supports the proper fat metabolism, and biotin strengthens hair and skin. All this to ensure that your body can function as well as possible every day. 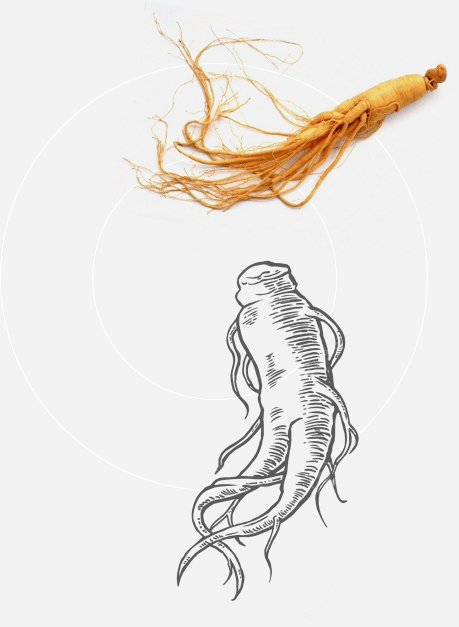 Originating from far Asia, red ginseng is one of the longest-known medicinal plants in the world. It is one of the most recognized remedies in Chinese medicine. It beneficially affects the heart and cardiovascular system, supports the functioning of the immune system, and improves mood and well-being. Ginseng extract found in Cheers Vitamins Day is standardized to 5% ginsenosides, biologically active substances responsible for the beneficial effects of this plant. One of the most important herbs in Ayurvedic medicine. The active substances contained in it are called withanolides. They are characterized by a number of pro-health effects. Ashwagandha has adaptogenic properties and beneficially affects the cardiovascular system. 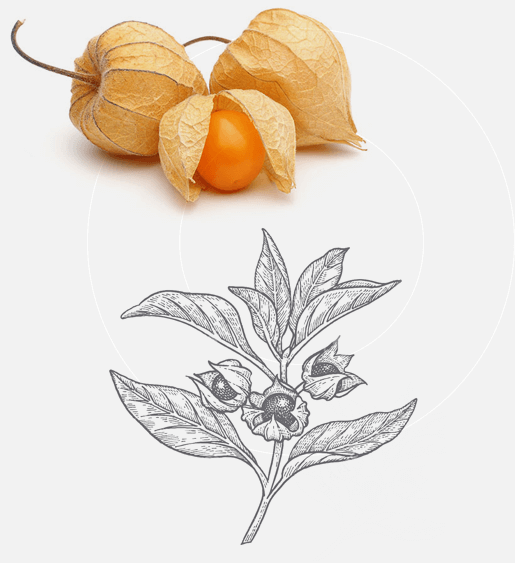 Ashwagandha root extract helps to protect DNA, proteins, and lipids from oxidative damage. It also has a sedative effect and soothes excessive stimulation of the nervous system and increases focus and perception. This unique herb may be found in the circumpolar regions. Its adaptogenic effect is based on increasing stress resistance and supporting the memory functions and the ability to focus by stimulating the nervous system. 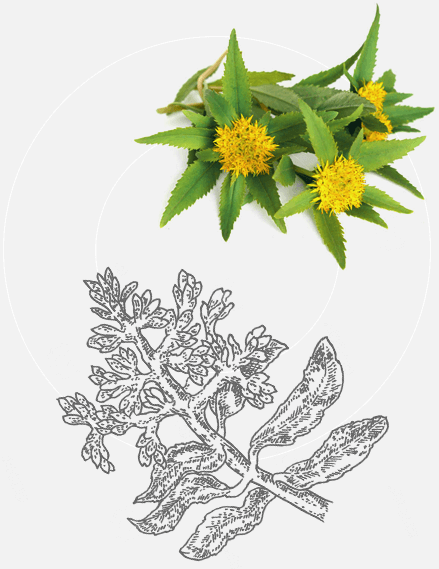 Rhodiola rosea extract found in Cheers Vitamins Day is standardized for 3% of rosavins, the active substance responsible for its effect on the human body. 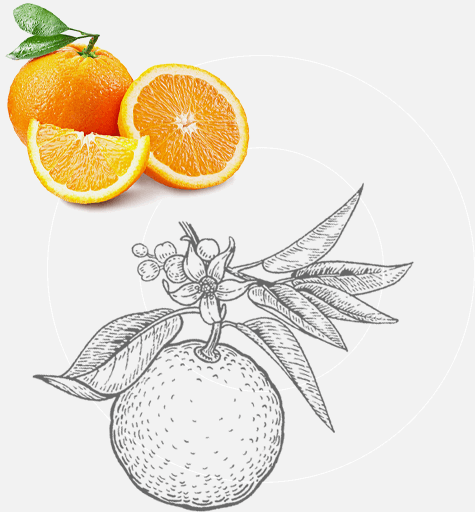 Citrus fruits are more than just a source of vitamin C. They also contain bioflavonoids, which are strong antioxidants. Their task is to protect cells against free radicals. Why is Minerals Night so valuable? Cheers Minerals Night is a unique set of minerals necessary for the proper functioning of the body and regeneration after all-day activity. 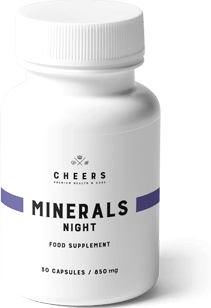 Cheers Minerals Night is a complete formula providing optimal dosage and the broadest spectrum of activity. It is an excellent complement to Cheers Vitamins Day. Cheers Minerals Night contains an extremely valuable addition of GABA (gamma-aminobutyric acid). GABA - gamma-aminobutyric acid is an organic chemical compound that is classified as one of the amino acids due to its structure. Gamma-aminobutyric acid occurs naturally in the body, where it acts as a neurotransmitter with inhibitory activity in the central and endocrine nervous system area. Supplementation of GABA is recommended for all those who lead an intense lifestyle and are exposed to stress that often causes problems with falling asleep. Sodium-L-Ascorbate (Vitamin C); Capsule Shell – Hydroxypropyl Methylcellulose; L-Ascorbic Acid (Vitamin C); Red Ginseng Root Extract (Panax ginseng C.A. Meyer) [5% Ginsenosides]; Sweet Orange Fruit Extract (Citrus sinensis L.) [60% Citrus Bioflavonoids]; Ashwagandha Extract (Withania somnifera) [7% Withanolides, 1% Alkaloids, 0.25% Withaferin A]; Rhodiola Root Extract (Rhodiola Rosea) [3% Rosavins]; Rice Powder; DL-Alpha-Tocopheryl Acetate (Vitamin E); Niacinamide (Niacin); Retinyl Acetate (Vitamin A);Calcium D-Pantothenate (Pantothenic Acid); D-Biotin (Biotin); Cyanocobalamin (Vitamin B12); Pteroylmonoglutamic Acid (Folate); Cholecalciferol (Vitamin D); Pyridoxine Hydrochloride (Vitamin B6); Riboflavin; Thiamine Mononitrate (Thiamine). Magnesium Taurate; Capsule Shell – Hydroxypropyl Methylcellulose; Ferrous Lactate; Gamma-Aminobutyric Acid; Zinc Sulphate; Rice Powder; Manganese Sulphate; Copper Sulphate; Potassium Iodide; Sodium Selenite.